The Glock 27 (G27) is a great concealed carry pistol and an excellent compromise of size, comfort, and ease of shooting without loss of presentation speed or control. Whereas the Glock 27 is noticeably thicker due to its double-stack magazine, it is still a highly concealable, personal defense pistol that can be easily carried in a fanny pack or inside-the-waistband holster. Alongside the Glock 26 and Glock 33, the Glock 27 is designed on the exact same frame size and will fit the same size holsters. In this article, we're going to highlight some of the best Glock 27 holsters on the market. These are our favorites and for good reason - keep reading to discover why. If you assigned your Glock 27 the role of a primary concealed carry weapon, you would need a full-sized holster that attaches to the belt at multiple points. On the other hand, many gun owners prefer the IWB, or Inside the Waistband, Holster because it's an effective solution when a more concealed carry is necessary. As an excellent method for concealing a G27, IWB holsters boast a slim, low profile and will allow you to position it on any side of your waistband. Thanks to their popularity, there are dozens of holsters explicitly made for Glock 27s, ranging from already mentioned OWB and IWB, to shoulder, ankle, belly band holsters and even to specially made car holsters. Common features of all on-body and off-body Glock 27 holsters should be their ease of draw which means you should have quick access to your subcompact Glock during an emergency situation. The holster material for your firearm is a significant factor in selecting a perfect holster for you. While some materials will adjust to your specific gun (leather or Cordura) in time, for others, you must ensure that your Glock 27 will fit the holster (Kydex and plastics). We rounded different types of holsters that are great options for those seeking the best combination of price, comfortable concealment, quality construction, and positive retention. All carrying platforms featured are built for the Glock 27, but most are available for many of today’s popular compacts and subcompacts. Now we're going to switch gears and dive into our review. For each holster, we'll be taking a look their main features, then highlighting the top pros and cons to be aware of. Let's get started. CYA Supply Co. is a member of NRA Business Alliance and a veteran-owned company from Texas, USA, whose products come with a lifetime warranty. While many other manufacturers make their IWB holsters from Kydex material, CYA decided to use Boltaron, a fire retardant, extruded thermoplastic alloy. This abrasion resistant plastic, similar to Kydex, is less matte in texture and keeps its shape better than Kydex in high heat situations. As its name says, the CYA Supply Co. holster is designed to be worn inside the waistband for concealed carry, offering less friction than comparable models. Less friction during gun manipulation means less wear on your Glock 27 and a better draw and re-holster; it also features a positive audible click when inserting the pistol into the holster. This slim, low profile IWB holster is tightly molded to your subcompact Glock 27 pistol, while the applied .08" thickness Boltaron remains lightweight at only three ounces. The holster boasts a single belt clip 1.5" wide, also made of Boltaron. By adjusting two screws at the top of the robust belt clip from 0 to 15 degrees you can position it to your preferred cant. Another two screws located in front of the trigger guard are adjustable with an included small Allen for comfortable retention. For the best fit, this IWB carry-style rig is available in a variety of colors and patterns, including green, black, carbon fiber, flat dark earth, or amusing teal blue. As with most industrial products, this holster comes with a couple of minor issues, too. Some users have complaints that the belt clip isn't quite long enough to positively lock under the belt when worn with a wider belt. While the sweat guard covers the full length of the slide, it has some rough edges on the molding that may be irritating, but with a few DIY adjustments, you can achieve a proper fit. As one of the best Glock 27 carrying rigs, the CYA Supply Co. IWB holster comes with smooth sides and nicely rounded edges, making it a good concealed carry choice and a great overall holster. However, the great slim fit and excellent finish come with a higher price tag, but with this holster, there is virtually no printing, even under t-shirts, which justifies the added cost. If you want to carry your Glock 27 concealed and be comfortable even while wearing just a T-shirt, shorts, or a dress then you should try a belly band holster. The ComfortTac belly band holster is one of the most popular designs giving you the option of wearing different sized pistols and revolvers, paired with a spare magazine pocket. It is available for both right hand and left-hand draws. Though some users complain that the "mag pouch" is nearly useless for holding magazines, this storage pouch for accessories is perfect for placing cards and IDs for active lifestyles and everyday wear. Whereas most of the competition belly bands are made from elastic, which will pinch the skin and body hair after short use, soft neoprene is smooth and comfortable enough to wear directly against the naked skin. Moreover, as the neoprene is thicker, it provides better support and handles the weight of a gun very well. 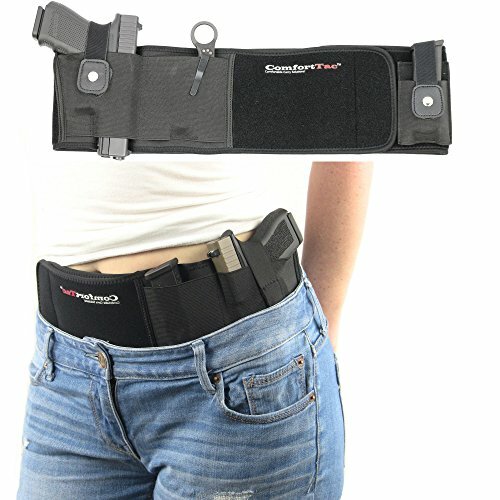 ComfortTac Belly Band Holster is large at 5" wide and 42.25" long, but it stretches to fit up to 44" diameter and will work equally for men and small females. Following the same principle "One size fits all", the elastic holster fits subcompact, compact, and even full-size handguns. The belly band holster allows you to carry your Glock 27 in any position you find comfortable to concealed carry. Unlike other conceal carry options, the belly band holster enables you to comfortably wear your handgun inside the waistband (IWB), outside the pants (OWB), small of back (SOB), cross draw, appendix, or even high up like a shoulder holster. While traditional holsters require you to wear a belt and more or less classic clothing style, with the belly band holster you can wear non-conventional wardrobes such as gym shorts, yoga pants, skirts, or dresses. The innovative Serpa CQC holster is designed for a smooth, quick draw and aids holstering without having to look at the holster, but also prevents someone from taking your weapon without your permission. The abbreviation CQC means “Close quarters concealment”, a sibling term for “Close quarter combat”. The Blackhawk SERPA series of holsters have earned an outstanding reputation for their active retention system. It securely locks your Glock 27 into the holster automatically, every time you re-holster with an audible “click” as the gun seats. The lock engages on the trigger guard and in order to draw the handgun, the user must engage a push button device with the trigger finger beside the holster body. On the flip side, no matter how well this holster utilizes the natural placement of the trigger finger, it still requires you to do a lot of practice with your draw. The Serpa CQC concealment holster is explicitly molded for Glock 26/27/33 series, as well as for many compact and full-size pistols, but it is still not available for some popular handguns. 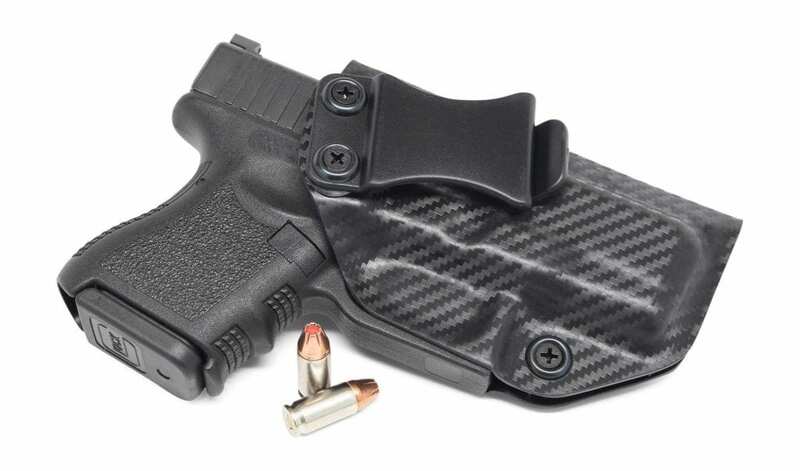 Unlike most plastic holsters using polymer technology from the 1960s, the Blackhawk SERPA holster for the Glock 27 is constructed through an injection molded polymer blended with carbon fiber for an optimum strength-to-weight ratio. The Blackhawk MT SERPA CQC Holster features a full firing grip for draw and also can be adjusted to different angles, or cants, depending on your preference. Though some people frown at the use of an OWB holster for concealed carry, the SERPA CQC holster is easily hidden beneath a jacket, as its design keeps it close to the body. As a bonus, Blackhawk includes a paddle rig, as well as an interchangeable belt loop rig. In addition, there is a Quick Disconnect System Kit available for purchase to increase the holster’s possible uses. This unique holster design allows you to release the Glock by using your normal drawing motion, without chance of the weapon accidentally leaving the holster. The Blackhawk SERPA is backed by a one-year warranty and will keep your Glock 27 on hand and securely holstered while going about your daily activities, making your investment in the Serpa CQC a wise choice. The Safariland Group has existed for more than a half a century in the law enforcement and sporting markets. The Safariland Automatic Locking System (ALS) series provides level 2 and level 3 retention for your firearm, depending upon the model you choose. Unlike the 6377 version, Safariland 6378 can fit your Glock 27 with popular light and rail attachments. 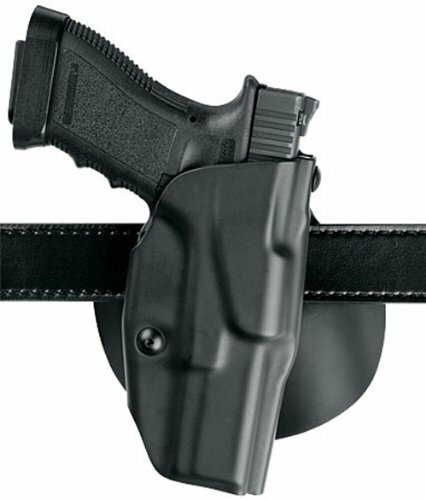 Besides the security of ALS system and tactical light accommodation, this holster package includes a belt paddle attachment alongside the belt loop. 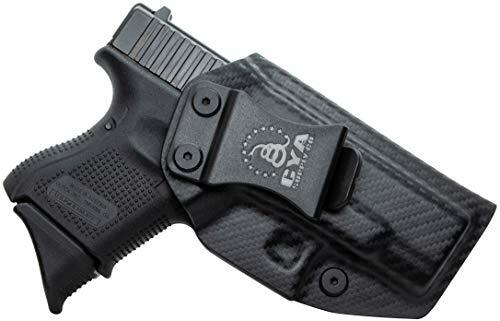 The included injection-molded paddle features a discreet design that enhances the concealed aspect of this holster because it rides close to body with a slightly forward weapon cant. For added versatility, the holster is also equipped with a standard belt loop which can fit 1.5" to 1.75" belt widths. The Safariland Model 6378 is open-top paddle holster designed for the rigors of daily use by plain-clothes officers and sidearm carriers. The holster boasts Safari Laminate thermal-molded construction on the outside, while a suede lining on the inside protects your sidearms, front sight, and finish. The innovative ALS retention system secures the firearm from all angles once re-holstered, but still allows a simple straight up draw with a swipe of the thumb release as you establish your grip. The Safariland ALS is a good holster for weapon retention and is fashioned specifically to fit different Glock, Colt, Sig, Smith and Wesson, and many other models. Constructed from laminate with a polymer core, the holster is bulky since the molding is much thicker than the gun and you will need to take some time to practice. Maybe this holster is not a perfect solution to conceal under a T-shirt, but for sure it is a great option for the range or winter weather carry. 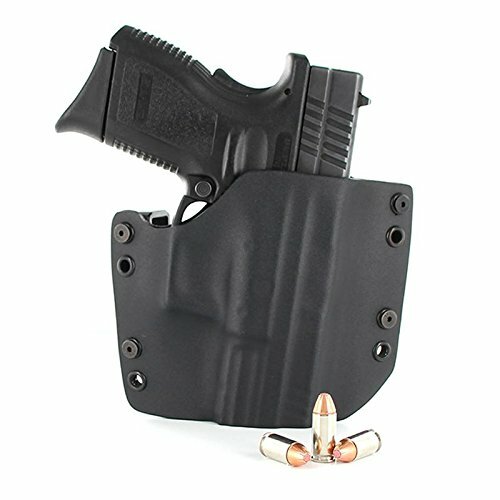 Another favorite IWB holster comes from a company that already has created some revolutionary holsters for an increasing number of CCW holders. 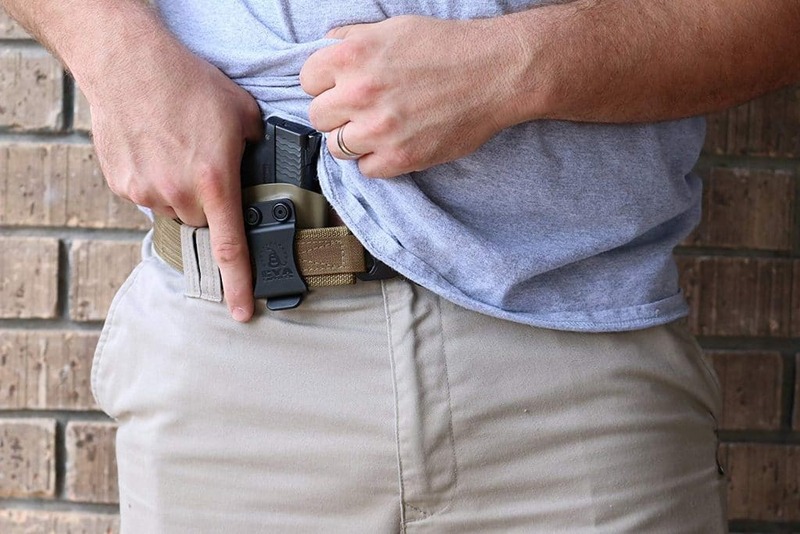 While the Concealment Express manufacturer advertises that their IWB KYDEX Holster should be worn inside-the-waistband with a belt and an untucked shirt, many customers claim this minimalist holster can even be carried even with a tucked-in shirt. The Concealment Express Kydex holster will protect your Glock 27 (but also G26&G33) against the elements while remaining extremely lightweight and durable. It weighs only 2.5 oz. and features a perfect custom molded fit due to .08" Kydex material. 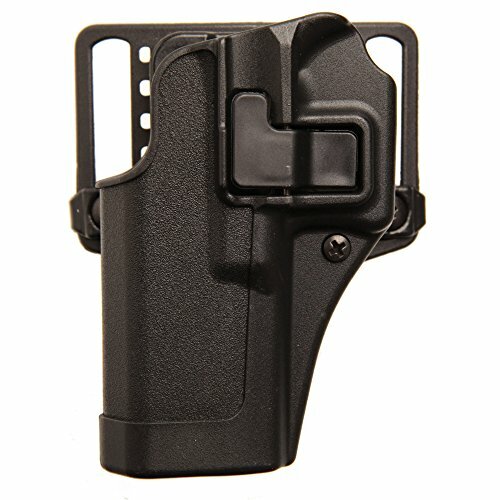 The holster has a standard 1.5" belt clip made of ABS plastic. Whereas, IWB holsters are known for allowing you to carry in multiple positions, the Concealment Express holster allows you to adjust the carry angle from the vertical position up to 15 degrees, according to your needs. As you would expect, the Concealment Express IWB Kydex Holster comes with tension modification screws adjustable with Phillips screwdriver. The ‘Posi-Click' audible retention lock system will keep your firearm in place ensuring excellent security. Another useful feature is the integrated sweat shield that keeps your Glock 27 dry and helps in guiding your pistol while re-holstering. Perhaps a selection of colors for an IWB holster is not considered essential but Concealment Express still offers a range of colors varying from Raptor Black to Storm Grey and Carbon Black. The Concealment Express IWB Kydex rig is an easy to hide, perfect, all around holster for every day concealed carry. With the extremely slim profile, these holsters are comfortable enough and it will not intimidate others. However, for everyday use as with almost any IWB holster, their inside flap can rub wearer’s skin. Ankle carry can be easily concealed with your long pants and is an excellent carrying method for police, both uniformed and plainclothes. Glock concealment holsters for the Glock 27 are aplenty, and one of the premium ankle holsters for the Glock 27 comes from California based manufacturer Concealed Carrier LLC. The Concealed Carrier Universal Leg Carry Gun Holster with Magazine Pouch is made of elastic neoprene and designed with comfort in mind. As it comes with air holes to provide proper ventilation, this breathable and padded neoprene ankle holster guarantees maximum comfort for the user. 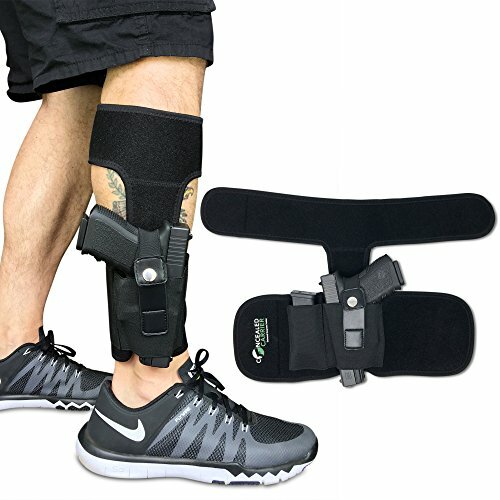 While thick foam liner covers the Concealed Carrier ankle holster to prevent rubbing and discomfort to your leg, and by utilizing the retention strap, you will be able to perform activities such as walking, jumping, or even running. The design of the double leg straps allows active movements without the slightest slip down your leg. Being a universal holster means that it can be used for left or right-handed draw and the product is designed to accommodate various subcompact handguns. Although this ankle rig is an excellent value for use with small autos, there are few complaints about weak Velcro, which barely holds on after a couple of months of use. The extra built-in elastic pouch for a spare magazine adds versatility as it also can be used to store a folding knife or any form of non-lethal protection. Most often, the purpose of an ankle holster is to keep a secondary weapon nearby for backup. As you would expect, the gun placed in a Concealed Carrier ankle holster is readily available if you are in a sitting position. Red River Tactical Company, or R&R Holsters, is located in Clarksville, Tennessee and all their holsters are made from start to finish, in the U.S.A.
From the wide range of the R&R Holsters, we‘ll point out the Outside-the-Waistband (OWB) holster as a serious piece of equipment often found on the belts of law enforcement professionals. The holster is built of Kydex that is less than a tenth of an inch thick. It provides a very thin profile to offer good concealment but is still thick enough to hold your pistol securely and distribute the weight evenly. The R&R OWB holsters have some adjustability in terms of carrying angles from zero to fifteen degrees, (meaning they are suitable for numerous carry styles) and the ride height (how far it sits above or below your belt). Both of these adjustments offer just the right balance between gripping the weapon securely and comfort when wearing a holster for extended periods. This adjustable cant is achieved with two belt loops (one on each side of the holster). Moreover, these two belt loops can be adjusted for the aforementioned height ride, to wear the holster high and tight against the waist. While these holsters come without retention devices, tightening the belt loop screws and the friction fit around the gun is plenty to hold it in place during your most active lifestyle tasks. The holster features only a partial sweat guard backing that protects the slide of your Glock 27. Overall, the design of the R&R holster is ideal either for open carry, or the concealed carry of smaller handguns, such as Baby Glocks. Apparently, the R&R OWB custom built holster is admirably small to fit your personal style and needs at an affordable price. By utilizing a good blend of size and weight, it is small enough to be unobtrusive in your daily life, while providing a good level of protection for your weapon. Using a specialized car holster is obviously a good idea, as it is not easy to draw a gun while sitting, and especially while belted into a car seat. While you can install a portable gun safe in the cabin or the trunk, there are a number of car holster variations; they tend to fall into two distinct categories, hard-mounted, and strap-mounted car holsters. 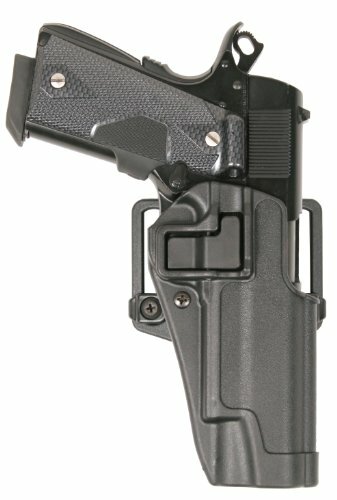 This product comes from Lirisy and is a holster designed specifically to be hard-mounted to the surface of your choice. 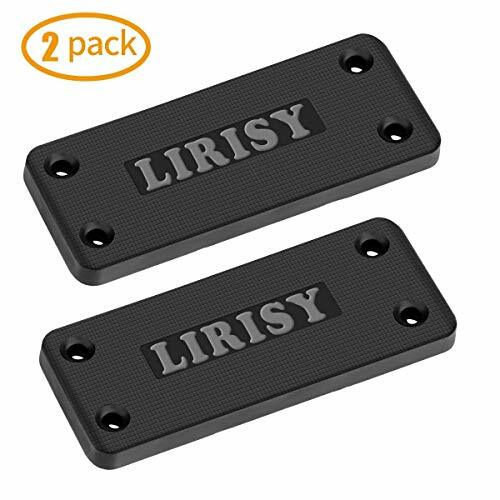 Actually, Lirisy 2-Pack Gun Magnet Mount is a magnetic gun holder coated in a thick, soft rubber to prevent your weapon from becoming scratched or tarnished. The Lirisy magnetic plate is less than 0.5" thick and can hold up to 35 pounds, which means it will hold virtually everything up to an M16 secure, though for the long/heavier guns, rifles, or shotguns it is recommended to use multiple magnetic units. Measuring in at 3.74" x 1.5" x 0.33", this revolutionary gun mount has a large surface area to keep your handgun in a variety of locations in your vehicle or at home. In the same time, Lirisy magnet mount features a low profile for easy concealment and discreet placement. Each magnetic gun holder comes with four black self-tapping screws for easy installation and can be easily mounted anywhere. The Lirisy magnet holder mount is built from high-grade N35 Neodymium magnets and will provide a sturdy, secure gun storage system that will keep your Glock 27 even while driving. This magnet holder is not intended to be affixed with any kind of adhesives, but drilling holes and screws should do it, so you buy this only if you plan to mount using the screws. 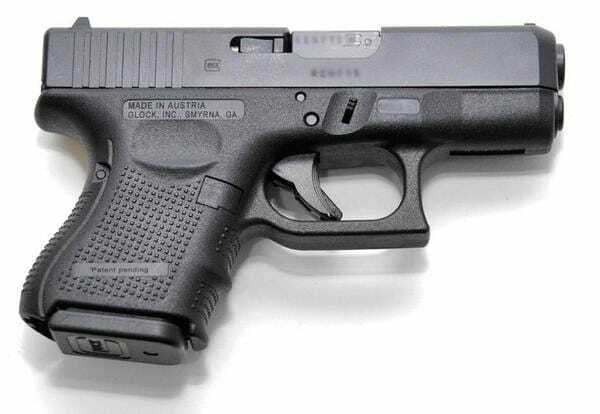 It is a well-known fact that police officers tend to carry Glock 27 as a backup weapon, but also many armed citizens like to use this Baby Glock for their concealed carry weapon. Regarding that, we have based above holster reviews on the best cost-efficient solutions for the G27 everyday carry, which are suitable either for uniform and civilian gun wearers.